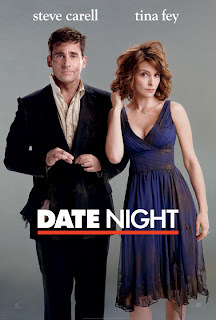 Reel Talk Online: First Look: Tina Fey & Steve Carrell in "Date Night"
First Look: Tina Fey & Steve Carrell in "Date Night"
Tina Fey and Steve Carrell (who I tend to think are better on the small screen) team up for the new comedy Date Night, about a usually boring married couple whose decision to go out on a date outside the house turns into a dangeours night due to mistaken identity. Check out the trailer below. Date Night, which also stars Mark Wahlberg and Common, hits theaters April 19, 2010. I loved the trailer for Date Night! Looking forward to this new movie despite having to wait 4 months!